It is free from Petrochemicals (NO LLP). It comes with the goodness of Basil Hibiscus & Peppermint essential oils. It provides nutrition to hair;making them stronger and prevents hair fall. 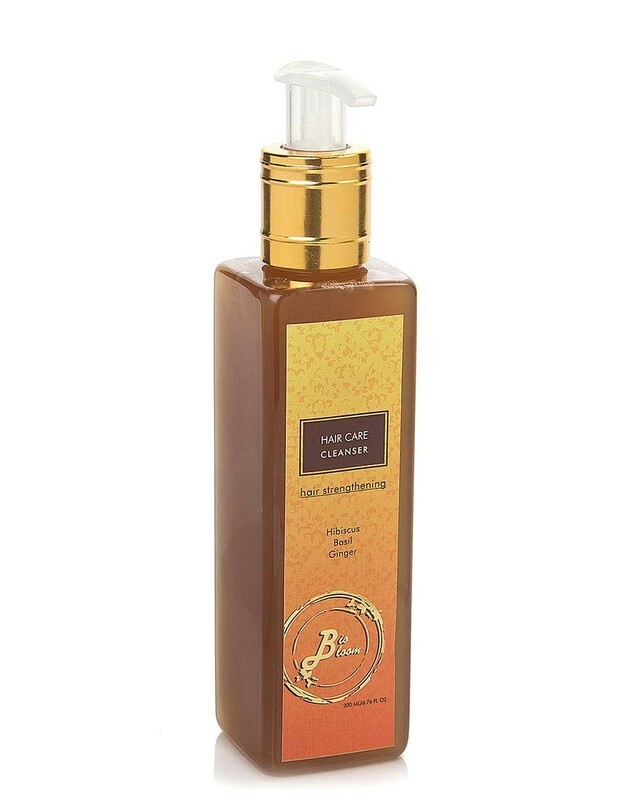 Biobloom's Hair Strengthening Hair Cleanser (Shampoo) is made with Ginger Juice and Basil, Peppermint and Hibiscus essential oils as well as Almond and Coconut Oils which help improve blood circulation, providing nourishment to weak hair. This Biobloom Shampoo us Sulfate Free (NO SLS/ SLES) and effectively cleans and nourishes the hair from root to tip, making them shine with all their health.